Because of how finicky my skin can be, I prefer a lightweight, cream moisturizer at night to keep my pores congestion-free. 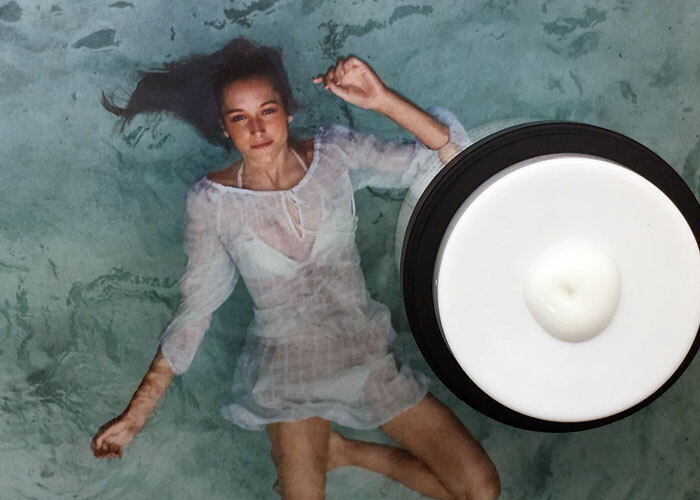 It’s proven a little difficult to find the perfect texture within the clean beauty world — until I met Pestle & Mortar Hydrate Lightweight Moisturizer. Made in Ireland, Pestle & Mortar is a tightly edited line (currently only three products!) for people of all skin types and concerns. Founder Sonia Deasy focuses on creating no-fuss products loaded with effective ingredients that can be layered and combined for the perfect skincare cocktail. And that’s evident in Pestle & Mortar’s Hydrate Lightweight Moisturizer, my first introduction to the brand. It’s a fine mix of peptides, vitamins and simple oils — think squalane and jojoba — for a non-greasy, wonderfully calming evening moisturizer perfect for combination to oily skin. This lightweight cream leaves zero residue or shine and can easily be layered atop toners and serums for extra hydration, or combined with oils for a thicker layer of moisture and protection. It’s a foundational cream that can easily be used year-round and combined with your other skincare products for a custom facial treat. The scent is something of a sweet childhood memory to me, as it captures what to my nose smells like fresh magnolia flowers. Growing up (in the South), we had a beautiful magnolia tree in our backyard that would flower with the most gorgeous white blossoms. If you’ve never smelled magnolia blossoms, imagine a zesty yet lightly sweet aroma that you’d want your laundry (and skin?!) to smell like. Beyond the expertly crafted ingredients and light, pretty scent, I’m even more smitten with the smart packaging. Pestle & Mortar Hydrate Lightweight Moisturizer is housed in an airless pump jar that keeps the actives and peptides fresh while guarding your cream from contamination. Simply open the top of the jar and press down on top of the white interior lid to deliver enough cream to cover your entire face and neck. One pump will do! You’ll notice that Pestle & Mortar’s Hydrate Lightweight Moisturizer isn’t a textbook green beauty pick because of its inclusion of ingredients like PEGs, disodium EDTA and phenoxyethanol. You’ll have to make your own decisions about what constitutes “clean and green” in your book, but for me, I like to look at the entire product before deeming it suitable for my skin. And Pestle & Mortar succeeded at keeping my skin congestion- and breakout-free when I introduced it into my routine. Speaking of my routine, I choose to only use this cream at night. Though Pestle & Mortar says it can be used both day and night, the inclusion of lemon peel oil has me using this at bedtime only. I just don’t like to take many risk with citrus oils and skin irritation in sunlight. Using this cream just once daily makes the 1.7-ounce jar stretch a little farther. At $74, it’s a little more expensive than a conventional cream moisturizer in the same packaging style but with a few more plant-based ingredients. I’d absolutely repurchase Pestle & Mortar’s moisturizer and consider it among my favorites for cleaner cream hydration. Have you tried anything from Pestle & Mortar? What are your thoughts on peptides and “cleaner” formulations? What do you use on your face at night? Tell me in the comments section!